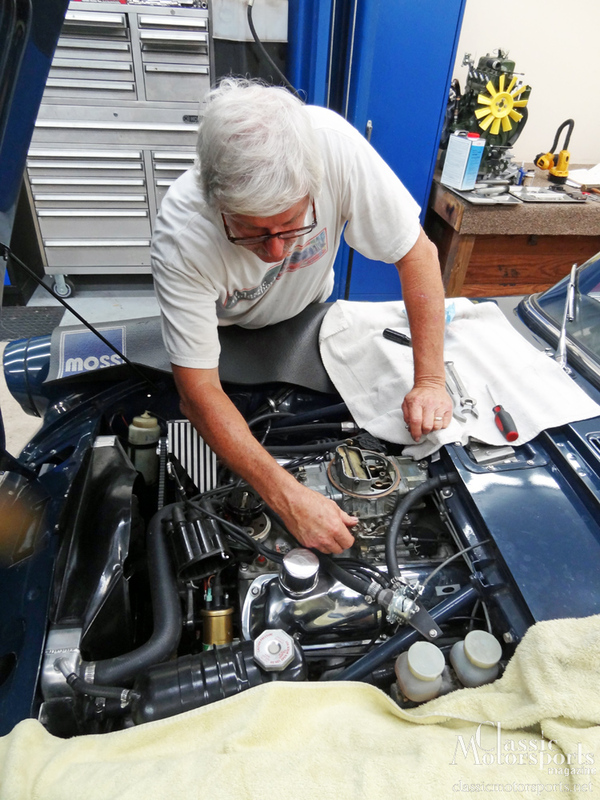 A bit of adjustment on our accelerator pump linkage solves an off-idle stumble. We had been invited to speak at the Tigers East/Alpines East United event in St. Michaels, Maryland. We thought it would be fun to have our Tiger with us for this event, but it wasn’t quite ready for prime time. We were having problems with charging. Occasionally, we would just have a dead battery. We couldn’t decide what the problem was, but we also noticed the ammeter wires were getting hot. We called Peter Bayer at Nisonger instruments and he told us that he could build us a matching voltmeter and that in the meantime, we should just disconnect the ammeter to make sure we had no risk of fire under the dash of our beloved Tiger. The original ammeter was designed to work with a generator that put out a maximum of 30 amps. We had long replaced the generator with a modern alternator that produced twice as much juice. This was the source of our problems. Peter explained that Rootes also switched Tigers to voltmeters with the Mark II models when they had gone from generators to alternators at the factory in 1967. This modification, a general clean up and some carb tuning to get rid of a hesitation were about all we needed to make the trek to the United event in mid-October. Are projects ever really finished?